The revolutionary concept of combining two of nature’s most nutrient-rich land and sea plants has made Body Balance® a proven daily wellness leader for over 30 years. Today, it remains a nutritional powerhouse delivering a broad range of minerals and phytonutrients ideal for supporting each of the body’s core systems. As a daily health foundation leader, we continue to source only the most potent, nutrient rich ingredients for Body Balance, including our own proprietary SeaNine® blend of nine wild, sustainably harvested sea vegetables, and Aloe vera grown and processed according to USDA National Organic Program standards and certified by Quality Assurance International (QAI). As the mineral riches of the earth are washed into the oceans and reclaimed by sea vegetation we capture them in our SeaNine blend utilizing all three varieties of red, green, and brown sea vegetables. To protect the over 75 nutrients and 200 active compounds, including 12 vitamins, 20 minerals, and 18 amino acids found in Aloe vera, our inner leaf fillet is carefully harvested and processed under low temperatures. The result, a delicious premium balance of sea and plant based nutrition that individuals of all ages can rely on for total body wellness and vibrant system support. 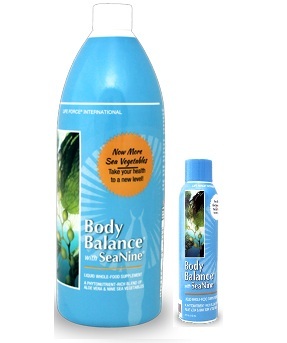 Body Balance is available in both liquid and powdered form. 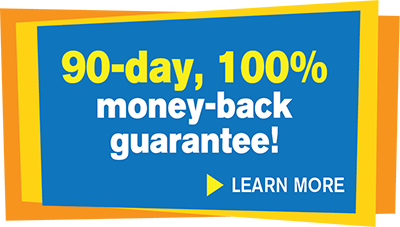 Keep 960 mL liquid Body Balance in your refrigerator, and when you’re on the go, slip 120 mL liquid travel bottles or powdered Body Balance Singles To Go in your pocket, purse, desk or travel bag. Since the 2011 Fukushima Daiichi nuclear disaster, concerns have been raised over the levels of radioactive contamination present in and around the coastal waters of Japan. Life Force International's SeaNine® blend contains a unique combination of nine sea vegetables harvested primarily off the east coast of Canada. As part of our rigorous quality control program, every incoming lot of raw material is tested to ensure the material's identity, strength, quality, and purity are in line with Life Force International's standard of excellence. In this regard, since 2011 every incoming lot of SeaNine® blend has undergone a full gamma radiation test. We will continue to incorporate this testing on all incoming lots, and will immediately reject all material which does not conform to our strict guidelines.